At Ernie Checkeris Public School, we encourage students to assume responsibility for their learning and to take advantage of their educational experiences. In partnership with parents/guardians and the community, we help our students reach their full potential in French and English so they can make positive contributions to society and face the challenges of tomorrow with confidence. Students enjoy a small, primary, French Immersion school located in a quiet, residential area of New Sudbury. 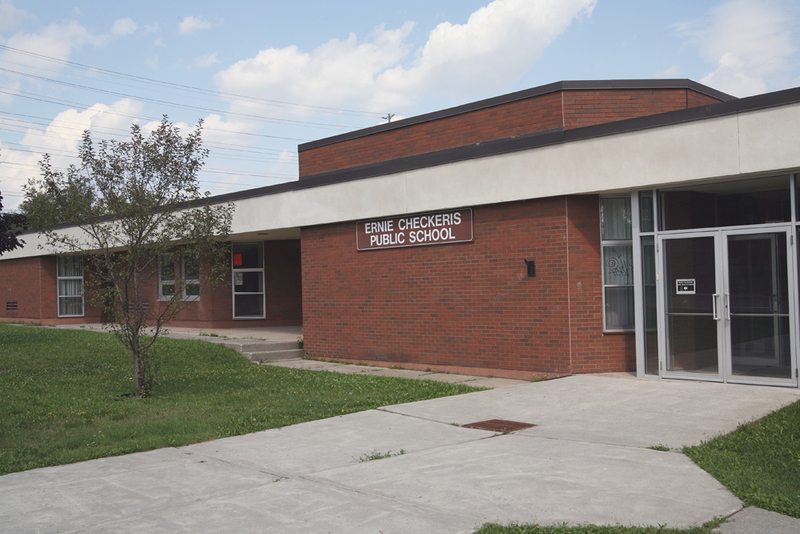 Our school is named after a prominent, well-known local gentleman, Ernie Checkeris, who has the distinction of being the longest serving public school trustee in Canada. Our School Council is active and supportive. Together, we are working to improve student achievement and overall school performance. To assist parents/guardians with child care needs, we have a licensed day care within our school setting, as well as before and after school programs that are available from 6 am to 6 pm. Both are run by the Centre Pivot du Triangle Magique. To learn more about registration or eligibility for fee subsidy, visit sudburyfamilies.ca or call 311. An attractive building with a unique design, most of the classrooms in our school are located around a central resource area that encompasses a computer lab and library. The gym is spacious and well equipped. Our playground is large and the children have fun on the two play structures in the yard that were made possible by the fundraising efforts of the School Council. 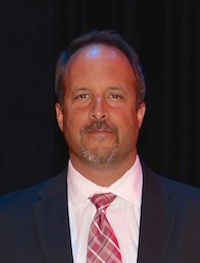 At Ernie Checkeris, there is a strong focus on character education. The following ten character traits are reinforced throughout the year: honesty, respect, empathy, responsibility, integrity, courtesy, resilience, acceptance, courage and co-operation. Our Wall of Fame recognizes the achievements of our students in character development and their efforts to speak French. Our World Class School teddy bear mascot, Grosbisou, assists in the delivery of character education messages. 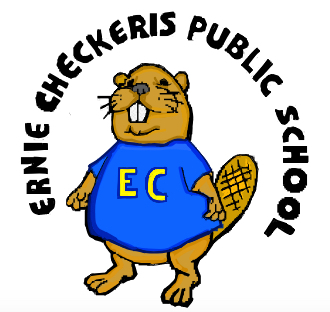 At Ernie Checkeris Public School, we strive for excellence. In providing challenging, exciting hands-on experiences, we are helping our young students to develop a strong, educational foundation on which they can build as they continue on their journey of life-long learning. Looking for child care at Ernie Checkeris Public School?